Have you ever picked up your pet from a Sitter to find they’ve learned a new trick? If not, you’ve clearly never left your pets with Cynthia and Paul, our January Pet Sitters of the Month! 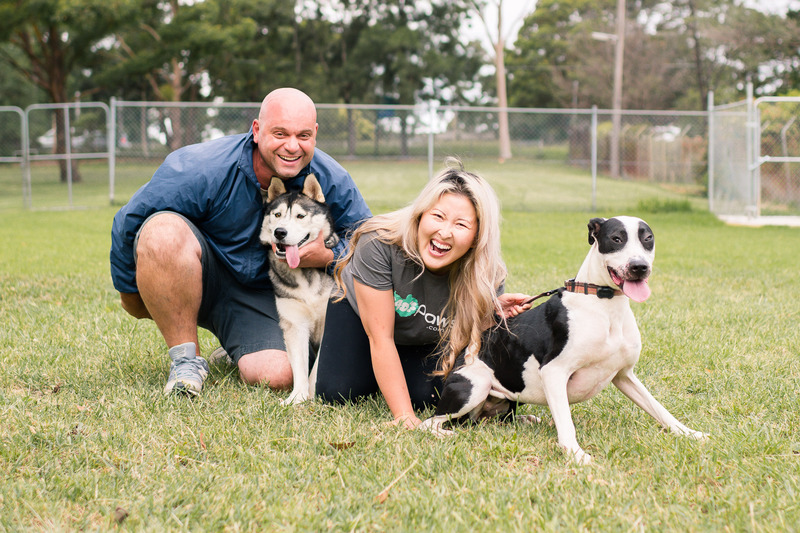 Based in Berala NSW, Cynthia and Paul could easily market their Pet Hosting service as a finishing school for pups. 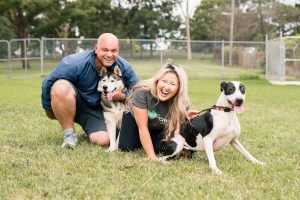 Read on to learn how these two use training, media, and the outdoors to offer an A1 Pet Sitting experience. Why do you love being a Mad Paws Pet Sitter? Paul and I have flexible work arrangements and we love dogs, so being able to accept pets when we are available keeps us busy and happy. Our dogs (oh and us!) get to meet new people and new pups. It’s great for everyone. We also gain experience through getting to know different breeds and learn more about dog psychology which we find very intriguing. What’s your favourite thing to do with your furry clients? We love to take them to off leash areas such as the park or dog beach so they can have a free run (if it suitable to the dog and owner!). We love taking them for a walk and also getting them to listen to us, recall and to sit and to follow other such directives. What was the first pet you ever owned? Do you have your own pets now? 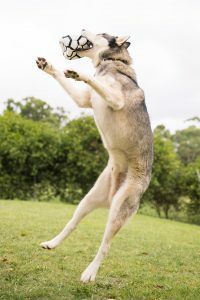 Paul’s first dog was a red cattle dog named Lupo which means wolf in Italian. We have two dogs right now. One is Maverick, a funny Siberian husky. Our other pup was an anniversary present from Paul, her name is Cyla and she is a Bull Arab pup. Both pups are energetic and have their own distinct personality. Do you have any particularly memorable furry guests? We had a Samoyed named Luka. He only came as a pup but him and Maverick quickly became best friends. Maverick and him would hang out, sit next to each other and talk to each other in their doggo language. Cyla also loved playing with Luka. He was always such a happy dog and an absolute pleasure to look after. We were so pleased to find out from the owner that during his stay with us he became toilet trained! If your furry guests could talk, what one question would you ask them at a Meet & Greet? We would ask what makes them happy and unhappy so we can make their stay most enjoyable with us. What’s your one top tip for new Pet Sitters? Our clients love media. Any videos and pictures of their pups at the park or romping in the yard – they really love it! It makes the owners feel more at ease when they are away from their furbabies. Always do a meet and greet even if the pup is only staying a short period of time. This way everyone is comfortable that all our dogs get along! Would you like to leave your dog with someone who can teach them a thing or two? Book Cynthia and Paul when you next need a Pet Sitter!